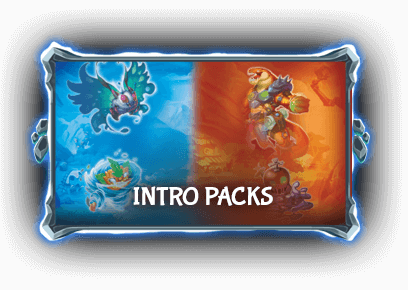 Each Intro Pack also contains Two play mats, two health counters, the full game rules, two deck storage boxes, a trading shield, and a Tribute Card. 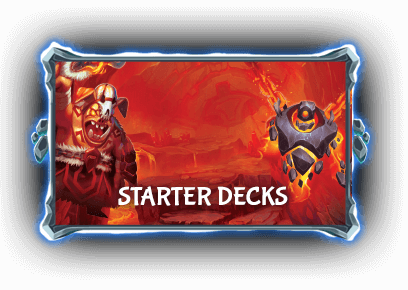 Each Starter Deck also contains: Play mat, health counter, the full game rules, deck storage box, trading shield, and a Tribute card.  If you want to build your own custom decks, you can add Booster Packs to expand your collection.